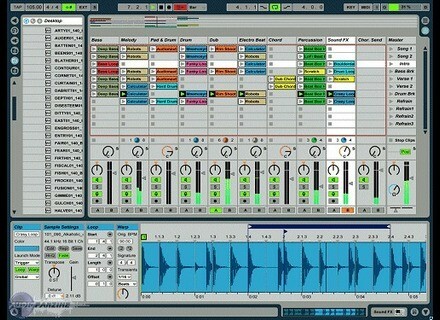 Live 2, Loop Sequencer from Ableton in the Live series. 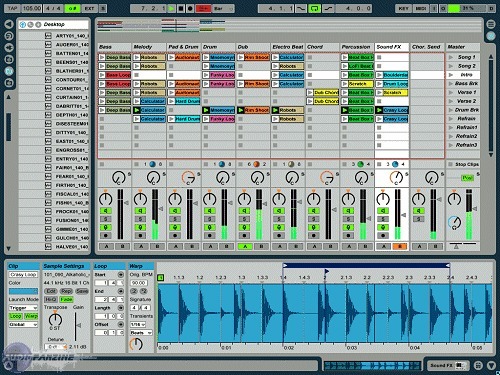 No difficulty of installation especially since, unlike the version 1, it is not complicated to declare it on the Ableton site when a problem on his pc, one is forced to reinstall the software. I use it for several months - 1 year from Live 1 -. Time Stretching in real time is simply glove. It is a formidable efficiency. The product is unique and really ddi to Live. It vritablement complmentaire of audio software squence afternoon who can not do the work of Live. I regrettte is the visual interface. Yes it is convenient and simple - what is promordiale to Live - but it really makes toy and it does not look like a product srieux! I find the price justification enough though I found the note to move from version 1 the 2 a bit dirty. Especially since I had not been a long time trs. I would do the same choice if I had not Live I miss him. time stretching requires a little practice but once you master it is easy to add a groove has a loop or a sample to adjust the tempo to another.